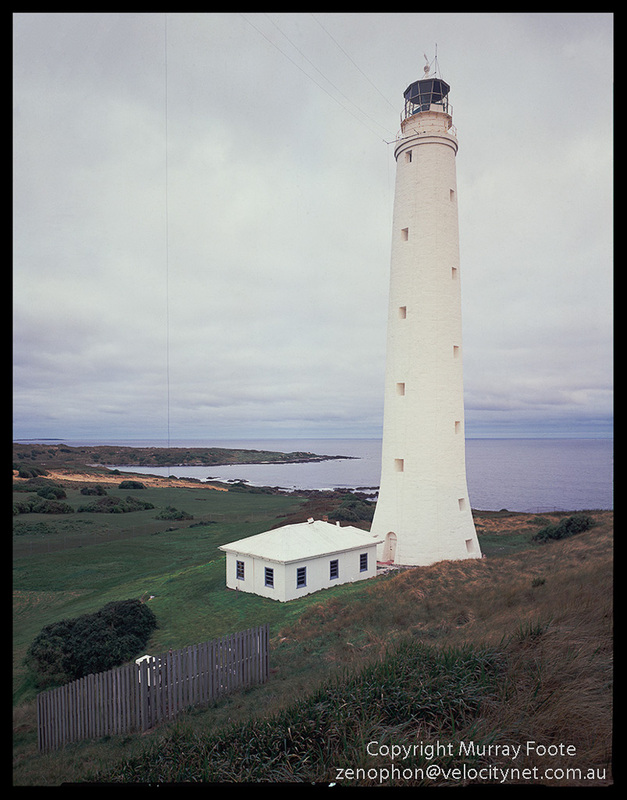 I visited Cape Wickham lighthouse, above north-western Tasmania on the northern tip of King Island, on 29 July 1987. On 4th August 1845, the barque Cataraque went down on the west coast of King Island. Only 9 survived out of 408. As it happened a committee had just begun meeting to consider locations for new lighthouses and the disaster probably helped it to decide to recommended building Cape Wickham as well as three others. They also specified that the tower for Cape Wickham need be no more than 15 metres high. The lighthouse was not built until 1861 though due to inter-state financial wrangling. Curiously, the lighthouse uses an English design for a site on a rock exposed to the sea yet it is well inland. It is 48 metres high, the highest in Australia and probably the southern hemisphere. It was built in stone and the walls were 3.4 metres thick at the base. Well protected from a tsunami. It was initially manned with a Superintendent and three keepers. 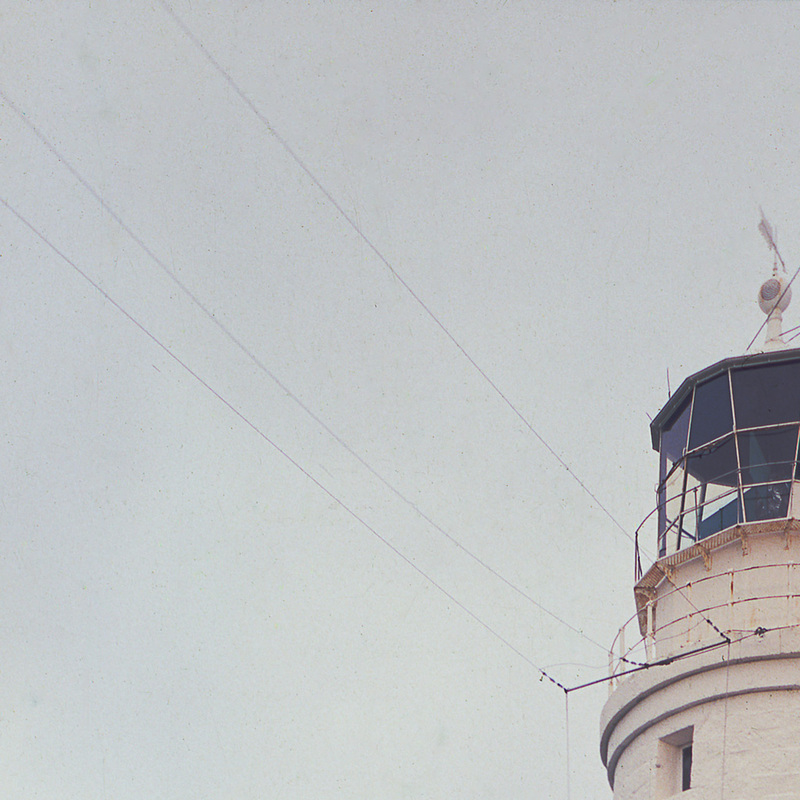 The lighthouse was automated as early as 1923 and demanned. The keeper at Currie Harbour then watched over all the lights on King Island. One mysterious facet of the photograph is that there are wires coming off at the top of the lighthouse. 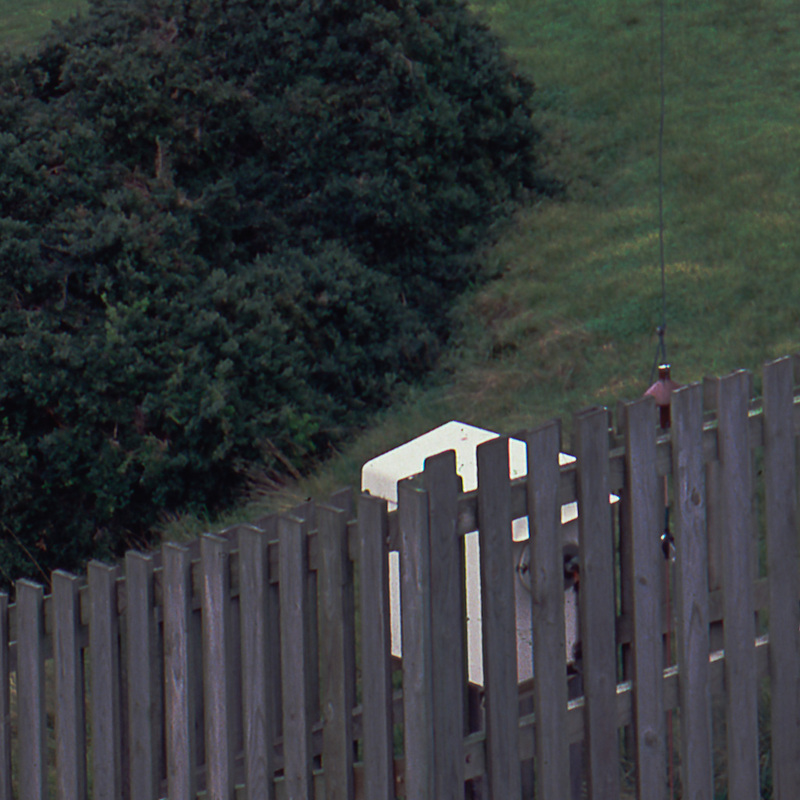 There is also a wire coming down to the white box behind the fence. I think this may have been for a meteorological balloon. See comments below for more detail. 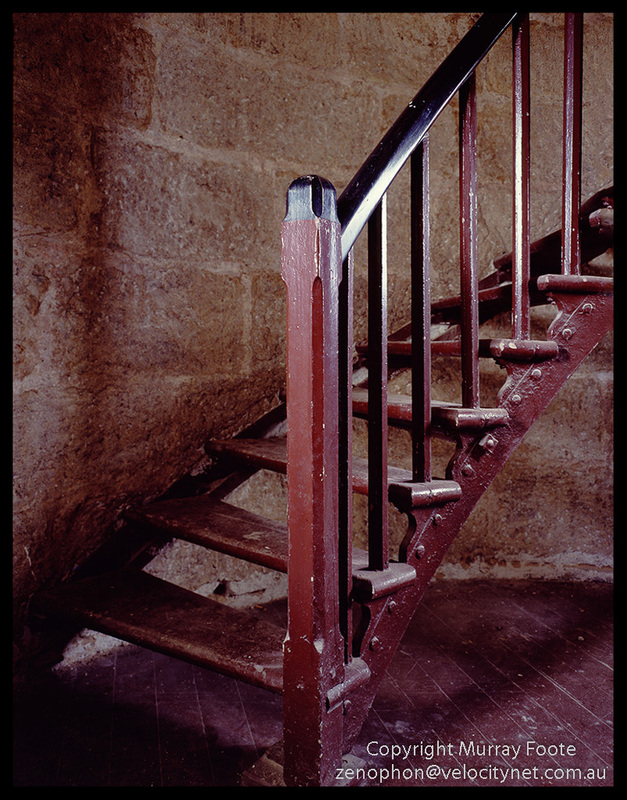 The wooden staircase is unusual because most lighthouses had stone or metal stairs – well, apart from the wooden lighthouses in Queensland. There are 220 steps to the top. This entry was posted in Australia, From Dusk Till Dawn and tagged Architecture, Australia, Cape Wickham, History, King Island, Landscape, Lighthouses, Photography, seascape, Tasmania, Travel. These wires look pretty much like a big antenna. There are three wires going off the lighthouse. The outer ones are taut and the middle one fairly slack. There are another two going down the side of the lighthouse and meeting at the ground, presumably to stabilise the ones going out. https://murrayfoote.files.wordpress.com/2013/05/cape-wickham-21.jpg . I suspect there’s a meteorological balloon up there with some way of automatically recording information. It could be temporary installation or a transient form of technology which would explain why I don’t see it on Google Earth or other historic photographs.